Hi and welcome to an all new session of author Interview. And today we have that author who enthralled our hearts with her funny and entertaining debut novel, The Recession Groom. Read along the interview to know more about Vani Kaushal and about her book and life beyond books. Me: Hello and welcome to my blog, Vani. 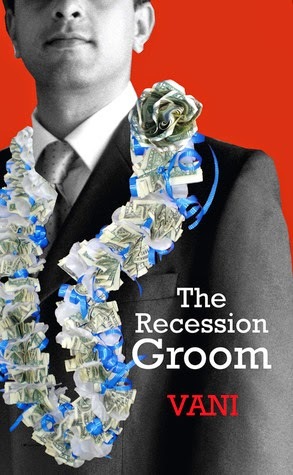 Congratulations on your debut book, The Recession Groom. Please share with us the story behind your book. Vani: Thanks for giving me this opportunity, Aditi. My book, ‘The Recession Groom’ tracks the story of a young IT professional from India across the period of global credit crisis and his adventures to find his perfect partner. It took me two and a half years to write the book and another one and a half years before I saw it in print. So far, the journey has been very exciting and I am on a constant learning curve. Me: What was your inspiration behind the book, The Recession Groom? Vani: I was in London when the global economy started moving into a recessionary phase. The newspapers were full of stories about bankruptcies, foreclosures, redundancies. What I saw around me inspired me to write this story. Me: The Recession Groom features a lot of happenings inside an IT industry and about the project overflow. How did you research for this purpose? Me: Tell us one trait of your protagonist, Parshuraman that intrigues you the most. Vani: Parshuraman is very respectful of women. It is not only intriguing to me but to others as well. That defines his character and makes him very different from protagonists in other novels. I know it’ll strike a chord with the female audience (unless they love their heroes as a one man army of sorts! ), hope the male readers like him, too. Me: What do you expect your readers to draw away from the book after reading it? Vani: It’s a jolly good story is all I can say. I want my readers to be entertained, that was the whole purpose of it. Me: Describe your journey so far as an author. And was it always your one true dream to be an author? Vani: Growing up, books held a fascination and yet, writing novels of my own never occurred to me. I knew I couldn’t be a doctor or an engineer. My background in Economics embarked me on the path of business journalism. I dabbled with several ideas at the time but then left it all and went to London for an MBA. It was there that the writing bug bit me again and I started writing my first story. Several drafts and multiple revisions later, that story is what you know as The Recession Groom. Me: How will you describe your normal writing day? 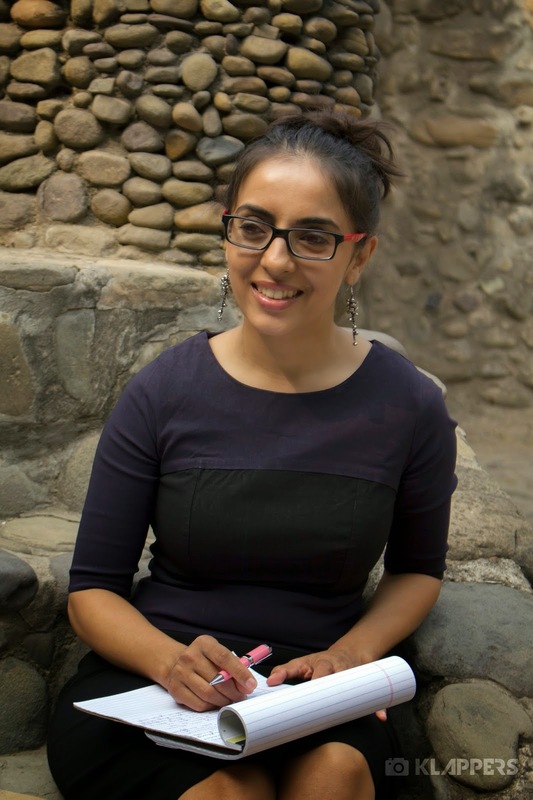 Vani: I am a full time writer and so have the privilege to work on my stories the whole day. I wake up early and work through the day, getting up for lunch and tea breaks. I am a sucker for books and so catch up on some reading before I sleep. Me: How do you get away from the stress of a long day's work? Vani: I read a book or watch an American soap on my laptop. I finished Game of Thrones Season IV and I’m currently watching Breaking Bad Season IV. Supernatural, Sleepy Hollow and Vampire Diaries is next. Vani: I am writing a sequel to The Recession Groom. Me: Thank You so much for sparing time to have this interview with me for my blog, Vani. I can only wish you luck in all your future endeavors. Vani: Thank you so much, Aditi. Thank you so much for giving me this opportunity, Aditi.